So just what is this often brightly-colored tape that sport stars seem to be wearing all over their bodies? What does it do? And most importantly, does it work? In this blog we discuss the effects of kinesiology tape. Kinesiology Tape (KT), is an ever-growing product in the sporting community. Whilst initially only seen on some of the world’s top athletes, it is now becoming a staple for everyone’s sports bag. There are many different brands and colours – but the question everyone is asking…. does it actually help? What Are the Benefits of KT? Reduce inflammation and swelling – achieved by the tape lifting the skin, which allows for greater movement of lymphatic fluids (the bodies drainage system). Increase support to injured areas – achieved by the tape being correctly applied over the structures contributing to pain. Assisting weaker muscles to be stronger, and restricted muscles to have a greater range of movement. Realign anatomical structures that may be in an incorrect position and causing pain. For example, a shoulder that is in a forward protracted position causing an impingement. As with any popular sports performance products, there is a lot of research and opinion both for and against. Most commonly professionals would advise that the use of taping will assist in injury rehabilitation, however, they may also ask whether KT is an improvement on standard sports tapes that have been used for decades. Despite there being limited research to prove it, it is largely the opinion that the increased elasticity of the tape is an improvement on the more rigid sports tapes previously found on the market. Muscles contract and relax continuously causing a change in size and tone, and the use of a more elastic tape would better allow this movement. Is It Not Just a Placebo? We hear this question a lot in the clinic, and you may be surprised to hear that our answer is always the same… “does it matter”? This may sound a little blunt and non-specific, but it is an opinion supported by science and research. Ultimately, the role of the tape is to reduce pain in order to complete performance. If performance is completed, then the tape has fulfilled its goal. Some may argue that it may not have been due to KT, but it is important not to underestimate the effects of a person’s psychological state and how it relates to their perceived pain. Research has conclusively found that pain is not just a set of physiological issues, but also psychological. Even if the tape were to have no physiological benefits, its addition may improve the psychological factors that were affecting pain. Should I Always Apply KT? DEFINITELY NOT! Although we have expressed positive views towards KT in this blog, we feel strongly that it has a place. 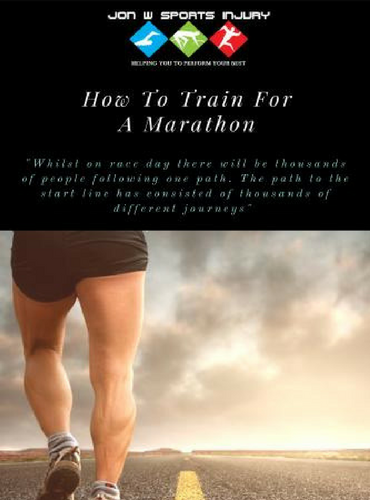 However, it should not be an aid that an athlete becomes reliant upon, and should only be used under particular circumstances and for certain time periods. The overuse of KT will result in soft tissue structures becoming weak or lazy, and if used too readily it will have a detrimental long term effect. How Should I Apply KT? 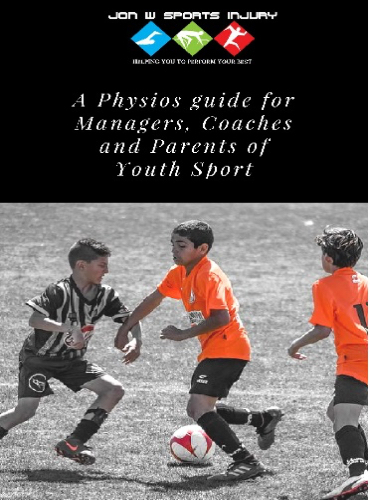 Initially KT should be applied by someone with appropriate training and anatomical knowledge. 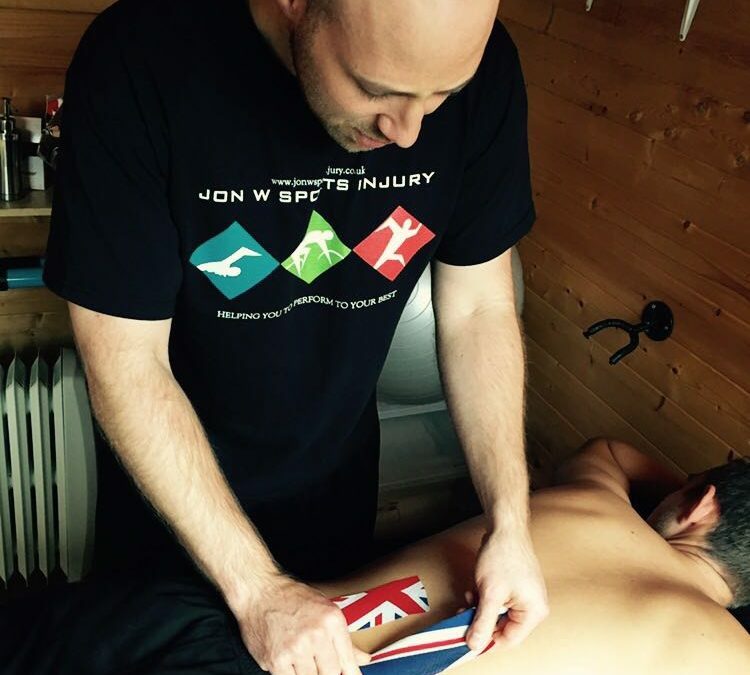 At Jon W Sports Injury we show our clients the principles behind the taping, and how they can apply it to themselves for their specific injury. In our clinical experience, everyone we have applied the tape to, has found benefits – whether physiological or psychological! 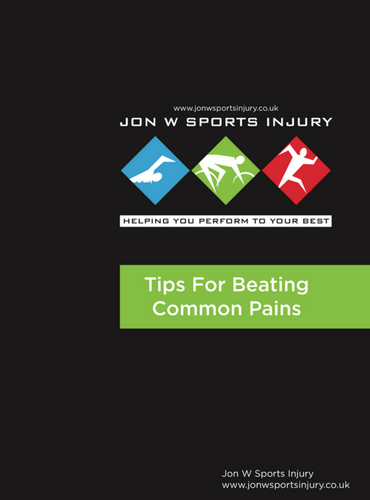 At Jon W Sports Injury we do see KT as a positive and is used frequently in clinic. However, we also believe it has a function in sports performance but should only be used under certain time periods and circumstances. In our clinical experience, every person we apply the tape too finds benefit. Whilst we appreciate the cause of this benefit could be debated we feel that KT is helpful in achieving specific goals.